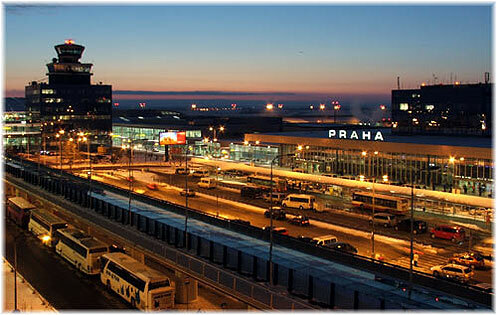 Transport airport Prague transfer services. No problem for us! Our driver will wait for you as long as necessary. We charge No fees for waiting time! We don't charge for waiting time. Beyond our airport transfer we also offer supplementary services. We provide individual transfers within Prague. We will take care of your desired transfer anytime to any place within the Czech Republic and EU. Visit our transfer price list to see a complete overview. Despite our flight was delayed we paid the fix confirmed price for transfer Prague airport - hotel without any next surcharge. Many thanks for your perfect service ! Thanks for smooth transport to Prague airport Ruzyne. After the chaos of the holiday package to save us Transport airport Prague. You are great and responsive, thank you. I appreciate the helpfulness of your driver ! He carried my luggage from airport hall to the car. Thank you. Your drivers are always nice and good mood. We'll recommend your company to our friends ! We ensure reliable and convenient transfer according to your specific requirements. You don't need to care how far is your hotel or your destination city. You pay only predetermined flat fee for your trip. Difference between our services and a taxi company? Classical taxi providers charge kilometer, waiting time and "get in" fee. At the end the price per kilometer traveled in Prague is often prohibitively high. Moreover, if you are unsure of the shortest route to your destination, the taxi driver may deliberately prolong the ride. Taking taxi or an airport transfer could be really expensive. Nothing like that can happen if you use our services! Unlike classical taxi we transfer at fixed prices. You will never pay more than a fixed predetermined price. We never charge "get in" fee or other surcharges to our transfers. In case you have ordered transfer from the airport and your flight is delayed you don't need to be worry. If the plane is delayed we charge NO fees for waiting time.